We are excited to announce Camp Bow Wow Midland Park won Best of Bergen's Best Pet Care and Boarding, voted on by the public! 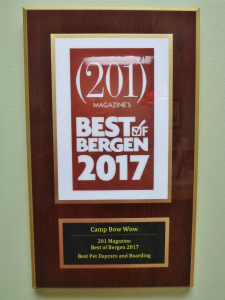 All of us at Camp Bow Wow Midland Park are thrilled to announce we won Best Pet Care and Boarding in (201) Magazine's Annual Best of Bergen Awards for 2017! 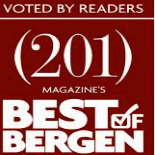 These awards recognize the best businesses in Bergen County as voted on by the public. It makes this award extra special to know that our wonderful clients were the ones that voted for us for this top prize. We are truly honored to have had such amazing clients in our lives these past 11 years. This award means so much to us as we strive for happy clients (and Campers!) and being voted the best means we are achieving this. Seeing smiles on both Campers' and their parents' faces means the world to us. We will continue to aim to be the best and thank everyone again for an amazing 11 years! We promise to continue making strides to be the Best for 2017 and on!